I spoke last week about the quality of matches in the NRC’s first round. Unfortunately I don’t think I can say the same about Round 2. There were some terrific team performances and, thankfully, one tight affair up north, but the rest were largely blow outs. 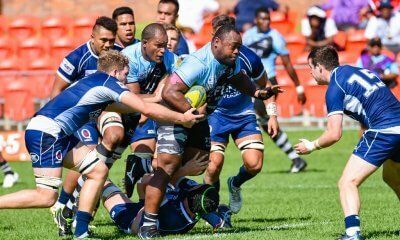 Seemingly supporting the Ben Darwin theory of Cohesion, the Fiji Drua spanked Brisbane City, while the Canberra Vikings did similar to the Sydney Rays. 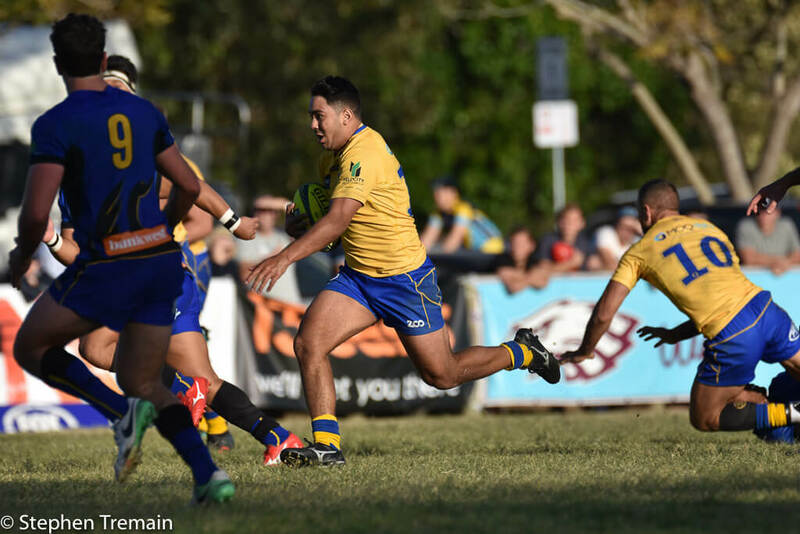 Out west, the Force had a big win over the NSW Country Eagles, all though the Eagles put in a bit of a charge after half time, by the Force switched back on to secure the win and retain the Horan-Little Shield. The most disappointing thing about this weekend? The scheduling. Three games on Saturday, with two of them being on at the exact same time (as happened last Sunday) just seems ludicrous. Even more so the televised match being a bottom of the table clash rather than the battle between two undefeated sides. Oh well. It’s all still watchable, so let’s get to it and check out what’s what with Round 3. Can this game live up to the traditional hype that organisers have proposed? One of the reasons for the Sydney Rays to adopt the historic colours of the Sydney Rugby Union team of days gone. A Sydney v Brisbane clash should peak the interests of rugby fans. Unfortunately both units have looked decidedly average, albeit with Sydney only having the one game so far. Let’s hope they this modern day variations can harness a bit of magic and passion from those who played in these teams of yesteryear and produce something special on Saturday arvo. Look, not many teams would have been able to stop the Drua in the form they showed last week. Brisbane coach will be keen to wipe the slate clean and have his team focus on a short five week tournament from now on in. One area he will need to get more out of is his scrum back five. Acknowledging the youth they have in the backrow, Brisbane need these guys to put their stamp on the game and match the output of their front row (the Smith twins and Brandon Paenga-Amosa). 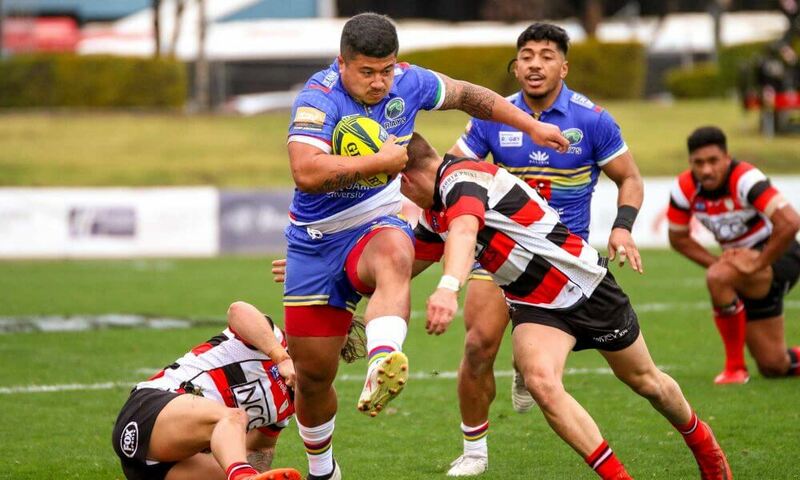 He may only get about half an hour of footy this weekend but many eyes in Australian Rugby will be on the return of backrower Jack Dempsey this weekend. Having not played since that questionable game between a Wallaby outfit and the Barbarians late last year, Dempsey’s time on the park will be restricted and closely monitored. Man of the Match in his last test match, in Brisbane against the All Blacks last year, his quality is established. How he bounces back from such a serious injury is the underlying question that begins to be answered in Woollahra on Saturday. Here’s another game in which we should see a team get their first win and this is as tough to pick as the last game, but for different reasons. Both teams seem to be travelling ok. the Rising were much improved last week against the other Country lads, while the Eagles will be much better for their promising run against the Force. Kudos as always to the Eagles for taking this country regionally with Mudgee the latest town to get to host an NRC game. Billy Meakes is using his time in the NRC effectively. He’ll be disappointed that he hasn’t as yet earned a test jersey despite being in and around the squad for about 12 months now. In his favour is that he’s getting plenty of minutes on the field and is taking charge of the Rising backline. He’s taking the ball to the line plenty of times and no one in the competition has beat more defenders than he has. He’ll look forward to upping his game against a relatively inexperienced Eagles centre combination. 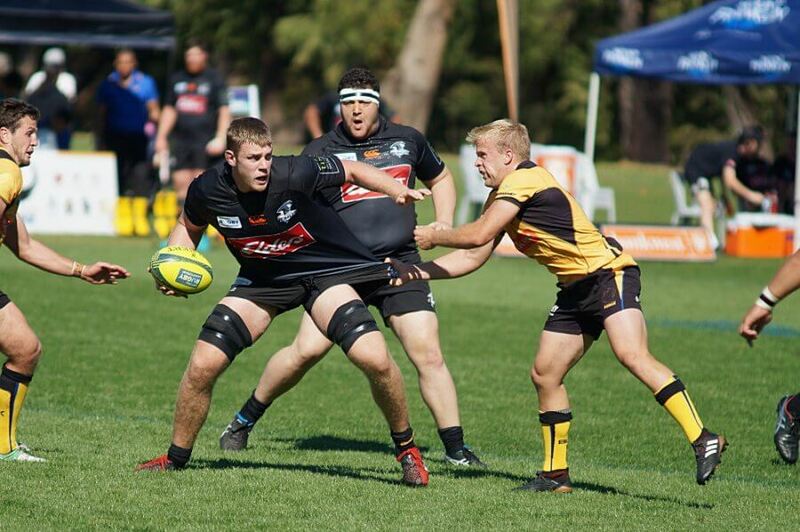 Jed Holloway came of age as a Super Rugby player this year putting in some performances at lock that had him spring boarded into the Wallaby wider training squad. His Eagles locking partner, Tom Staniforth, has at yet struggled to make the same impact at Super level despite being a gun performer in the last few NRCs. Combining for the Eagles they were highly effective last week against the Force and get another chance to enhance their combination this week against a very handy Rising forward pack. TIP: The Rising are on the road for the third week in a row but should take a lot out of last week. Rising by 2. If the Drua comprehensively beat the Rising in Round 1 and the Rising only just lost to QLD Country last week, where does us leave this match-up? Full of intrigue that’s for sure. Both teams are currently undefeated however the Drua sit two points clear of QLD Country (and with a 73 points better points differential!). 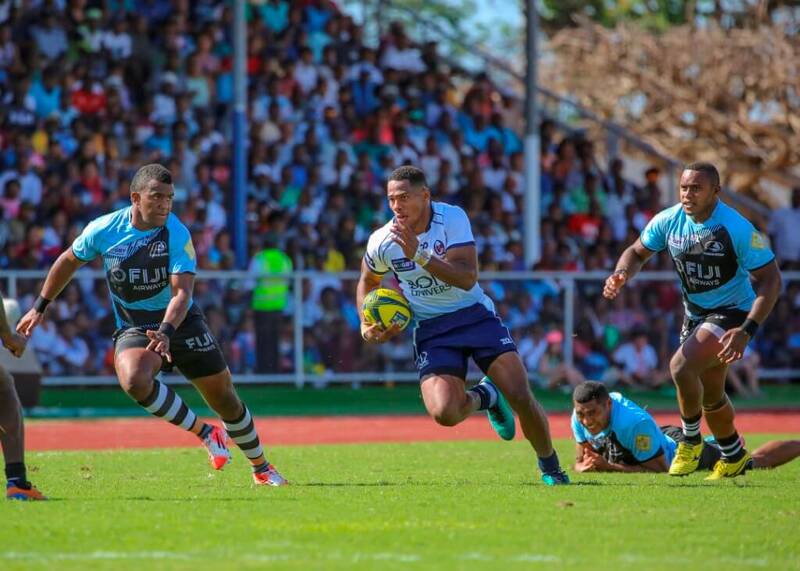 This will, however, be the Drua’s first match outside of Fiji and with an away record in 2017 of two wins from five games, this will be a big challenge for them. Adding to this is the fact that they lost to QLD Country on the two occasions they played them last year and it sets up this weekend’s game as a epic encounter. If Queensland Country are going to have any chance of downing the Drua in Mackay this weekend, the will have to fix one element of their game – their defence. Sure they’ve secured two wins but they’ve let in 63 points in the process (nine tries) and they (along with Brisbane City, who played Fiji last week) have missed more tackles than any other team in the competition. Forget his attacking prowess, Duncan Paia’aua is the main culprit and if he can’t play his role in shutting down Alivereti Veitokani, Cyril Reece and Apisalome Waqatubu then the Drua could, once again, run riot. C’mon, seriously? The Drua themselves. 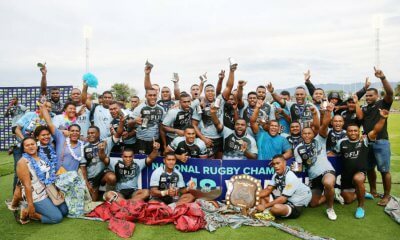 When a Fijian rugby team is playing at its best (be in 7s or even Under 20s as they showed this week), there isn’t a rugby team in the world as beautiful to watch as Fiji. The Drua were terrific in Round 1 v the Rising but they turned it up to 11 last week against Brisbane. I just hope the Mackay locals know how lucky they have it to have these entertainers playing in their town on the weekend. 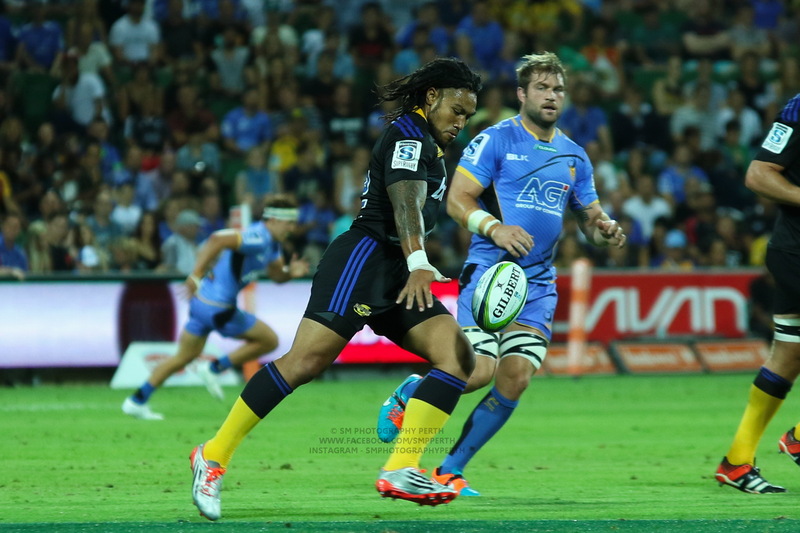 The Western Force were most people’s favourites for the NRC title this year, at least before the Drua started playing. Still there are many (including me) who believe their WRC campaign sets them up better than any other team in the NRC. Well, this weekend they get their first real test. 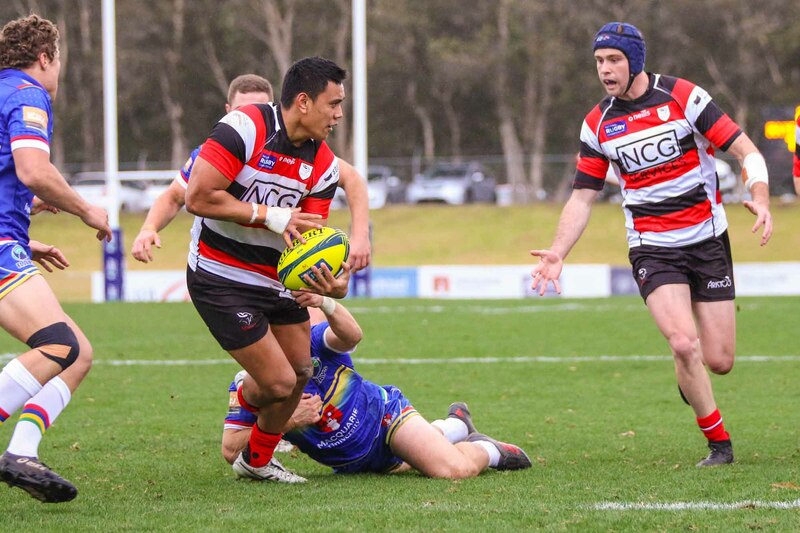 The Vikings were disappointed with their loss to QLD Country in the first round, but bounced back with a clinical display against the Sydney Rays last week. They will be better for their extra week of preparation and will back themselves against a Force side that has let their opponents back into the game in their two recent encounters. With Kyle Godwin, Andrew Smith and James Dargeville all departing the Brumbies this season, there are opportunities for any centre that has aspirations for Super Rugby footy. Two of those candidates are the two young players in the centres again this weekend. For the third week in a row Jordan Jackson-Hope and Len Ikitau have kept new Brumby recruit Irae Simone on the bench. They’ve done it because they’ve done everything that their coach has asked. They’ve made plenty of metres in attack and defended strongly and largely looked a quality combination belying their relative youth and inexperience. Up against two internationals this weekend will be a big test of their credentials. Conflict of Interest declared – I’ve got a soft spot for Rocket Rod Davies. Fair enough it started with those couple of great years he had at the Reds including the Championship in 2011. But I’ve always loved wingers with just pure speed. When it was announced that Rocket was heading to the Force I was curious as to whether he still had it. Two games in and it’s clear the legs are just as fast and his rugby nous is as strong as ever. A brace of tries in Round 1 was followed by an absolute scorcher last Sunday and if he can find space this weekend let’s drool over the potential foot race with Tom Banks. TIP: I think this could be the upset of the round. Vikings by 4. Thanks Reg. Looking forward to another good round of games. Think you might have meant it is the first match for the Drua outside of Fiji. Great tips Reg. Not going to lie, last Saturday was a pretty disappointing duo of games, but I think this weekend will really be a case of the real contenders emerging. For me, it’s the Drua and the Force. I reckon wins here, and it will set them essentially for the finals. I reckon the Eagles will be much improved from last week. As good as the Rising were, I’m leaning more towards the Eagles. And that’s not just my bias talking. Reckon we’ll be in for a cracker of a round. WSR was being criticised for being about the same quality as the NRC yet suddenly WSR is such great preparation for the Western Force. 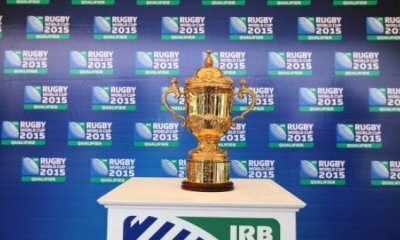 The Western Force has not one single player who is part of the current Wallabies squad. This week’s Melbourne Rising team has 16 players from the Melbourne Rebels’ playing squad. Two of these players were part of the initial Wallabies Squad for TRC. Add to this Isa Naisarani and Mees Erasmus. Yet no-one seems to raise the issue that Super Rugby was such good preparation for Melbourne Rising. it’s the combination FF. The cohesion factor if you like. That Rising team you talk about has two locks and a No 8 who I don’t think played any Super Rugby this year, or if they did it was just from the bench. Archie King hasn’t played any footy with Michael Ruru (or Harrison Goddard) out of the last two games. Three of the outside backs I don’t think played any Super Rugby this year, or at least didn’t start. It’s not the standard of WSR that is such great preparation, its that THIS team – the Western Force – have had 7 lead in games and all the training. That’s something none of the other teams, even the Drua have had. You can sprout the number of Super Rugby players all you like (and remember the Force have, I think, 11 in their starting lineup). It’s not about the skill, well it is but that’s only part of it, it’s the combination these players have as a team that sets them apart. Why the issue though? Prefer remaining underdogs? Just making a point which doesn’t seem to get a mention. This WF 23 didn’t all get 7 games as there was an effort to utilise the wider playing group as well. Clearly the WF have a focus on getting early wins in the NRC – which is so far working. Currently the WF have zero players who played SR in 2018. If I believe many of the comments, the WF was supposedly playing in a lesser competition. However, they had up to 3 weeks between games. So much for continuity – it was a real challenge for the players and coaches. That’s the reality – but many want to make more of the invitation series than that. It was a season to re-form a professional team playing against the best opposition that could be gathered in quick time. It was 6 weeks from many of the players and head coach arriving to first game. Hodgo actually led the 4 week’s pre-season before Van arrived on the scene. Perth fans really enjoyed the entertaining rugby – as the crowd numbers showed. Pleasing that others seemed to enjoy it as well. The games were certainly certainly watched closely in Japan and Hong Kong – which is what WSR is all about. A couple more wins under the belt and I’d expect to see more of the wider WF group being used before a re-focus for the Drua at home. Have been catching up with the Future Force players and the Club Rugby players who are continuing to train with the wider playing group. They’re thriving with the exposure and all vying for some game time when the opportunity arises. The current game squad is looking forward to some time on the road with the in preparation for next year’s WSR. I understand that they’re staying on the Gold Coast between the Vikings and Q Country match. A bit surprised to hear that RA initially wouldn’t approve the stay on the East Coast expecting the WF to return to Perth after the Vikings game. Hi Reg, thanks for the preview. I think the Eagles/Rising game is actually at 1:00pm. The Rising by 2? You’re funny! OK, hindsight.